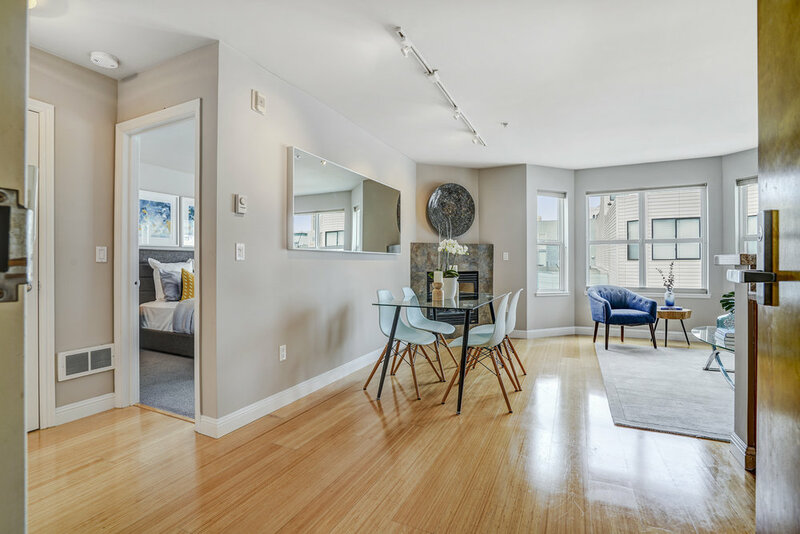 470 Clementina Street, Unit 302 is a top-level, 1 bedroom, 1 bath, 600 sq ft condominium in a modern 12-unit building. 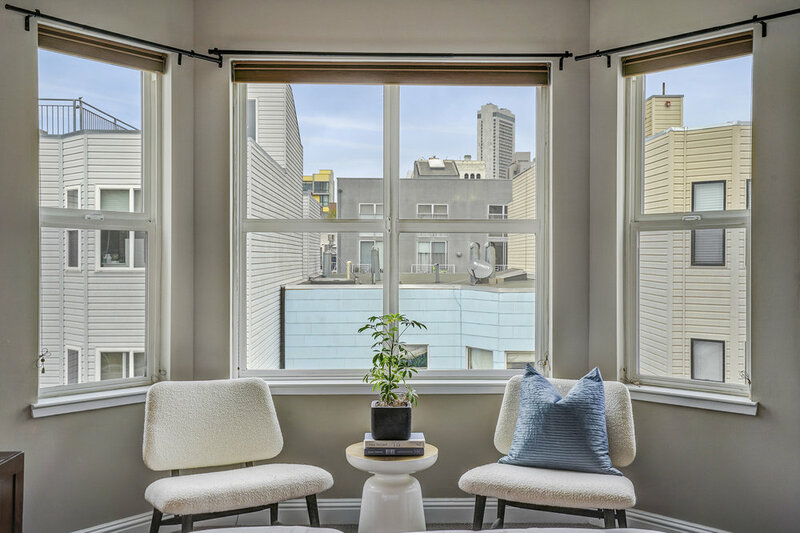 Located on a smaller one-way street in the SOMA district, this perfect starter condo has 2 skylights and lots of windows, making it light and inviting. 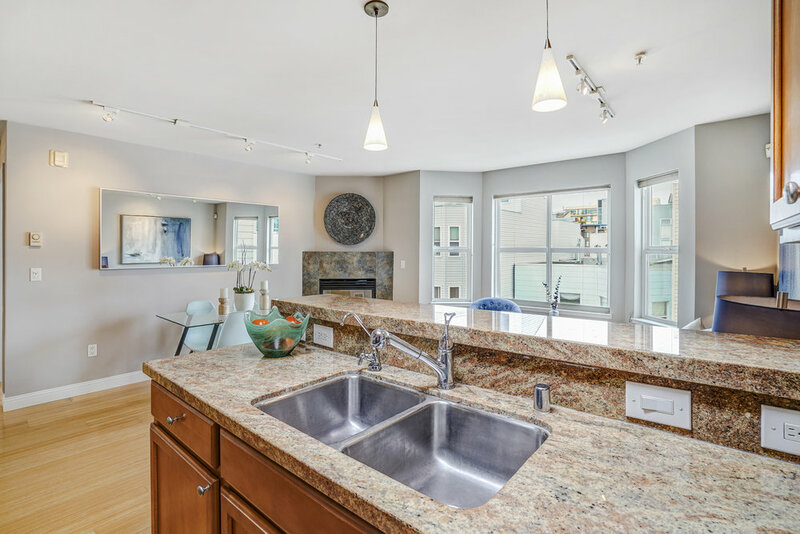 Enjoy the contemporary granite kitchen with a breakfast bar, good counter and cabinet space, and a s/s gas range, dishwasher, and refrigerator. 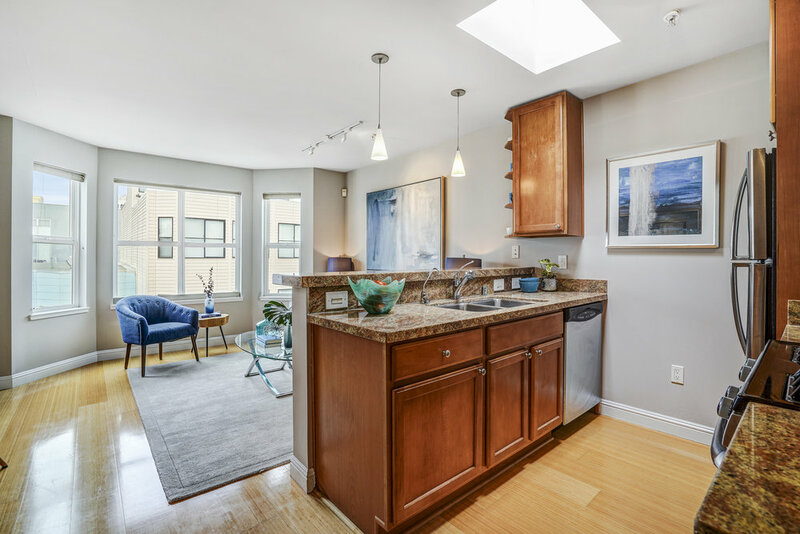 The kitchen opens onto the living room with a gas fireplace and stylish bamboo floors. 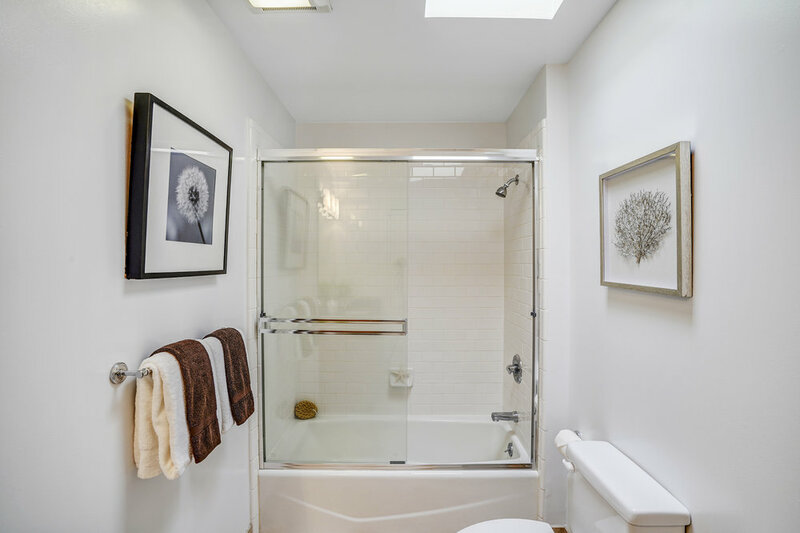 The bedroom has separate temperature control, wall-to-wall carpet, and a stone and tile bath. The in-unit washer/dryer is hidden in a closet, convenient and out of the way. 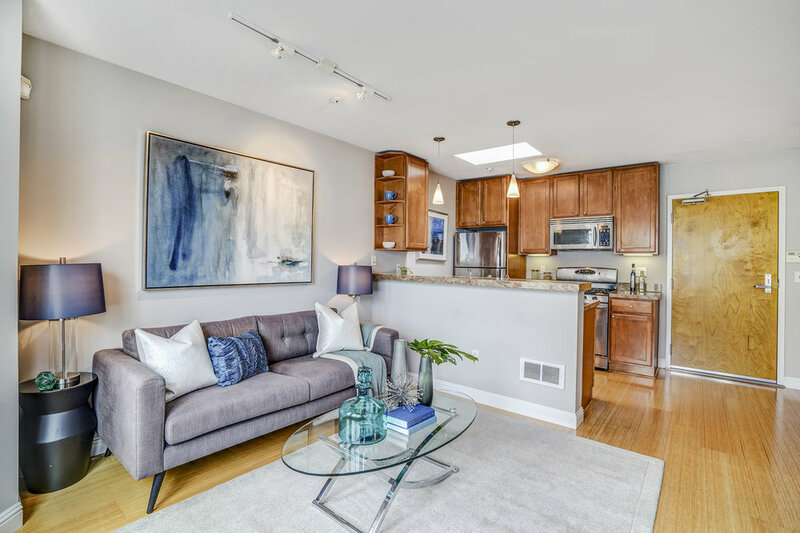 HOA's are $301.12/mo. 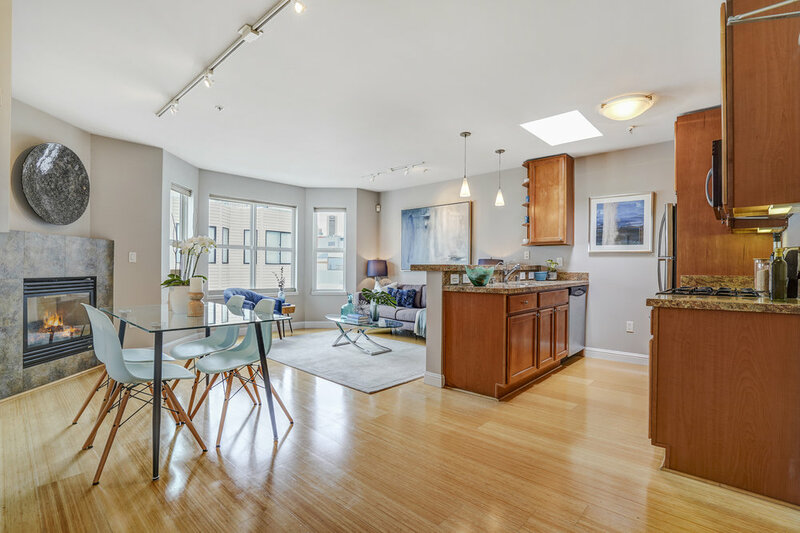 Separate secured storage space included, and there are panoramic downtown views from the shared roof deck.